Please do not get me wrong…I am just as frustrated as the rest of you with Google and their Panda and Penguin updates, their “Holier than Thou“ attitude when it comes to SEO for small business and the SEO industry as a whole. But can we blame them? Honestly? So in defense of Google and the Panda Penguin updates you have to look at the industry as a whole. When you have an industry this wide open, you are bound to get some “quacks” out there that claim to be SEO experts and actually do more harm than good. The automobile industry has fought this for decades and now it’s our turn in Search Engine Marketing world. So buckle up partners…this ride is only going to get worse for some of us! Google has said from day one, you should be building websites that develop and share quality and compelling content that people will want to visit, revisit, interact with and share with their friends, family and co-workers/colleagues. Easier said than done, granted! But since that has been their official company line since day one, shame on ANYONE who blames Google when the changes they make to try and enforce this statement affect your (or your clients) websites or performance in the search engine results pages. So with these changes and updates to the algorithm there should be a much better flow of and development cycle of good, consumable content from websites that are serious about being authoritative in the search engines. That is a good thing! This is basically going to force website owners and SEO’s to rethink their search engine marketing strategy altogether and those that are serious about building a quality website that delivers compelling content will win the battle in the search engine results pages. This also has sparked a HUGE surge in SEO firms suddenly becoming “Inbound Marketing” experts instead of SEO experts. LOL…more on that in another post! I guess the only thing I have to really complain about is the “unnatural link” messages some sites are seeing and the fact Google is expanding the list of “unnatural links” almost daily. Take Online Press Releases as an example. This has been a tried and true link building strategy for years. The best SEO’s in the industry have written blog post after blog post on how to write a press release, how to optimize a press release, etc. The problem with the recent announcement by Google that any link a press release should be a “no-follow” or you could face an unnatural link profile, is that how many thousands of press releases are out there with “do-follow” links already? What impact does this have on companies like PRWeb? OnlinePRNews? Really Google? I understand there is a sea of poor quality press releases out there, but I think it would have been much better to send a stern letter to each of the major players in the online PR world stating that Google will no longer tolerate low quality or non-news worthy press releases just for the sake of link building. And that Google will hold the online PR companies responsible for ensuring quality; newsworthy press releases are manually reviewed to ensure quality guidelines are met on each and every press release. And if not, than any link generated from, originated from or distributed from the suspect company would be “de-valued”. In other words, regulate the industry, not the tools. The current path Google has taken is a lazy one in my opinion and devalues what could be exceptional content for a small business which further “ham-strings” the small business owner and their content generating ability. 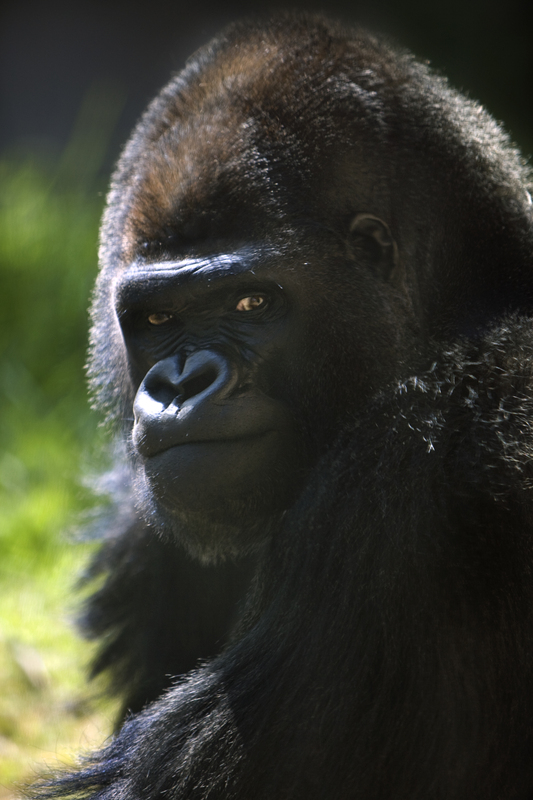 800lb Gorilla – Does what HE wants! Question: What does the 800lb Gorilla in the room do? Let’s face it, Google is the 800lb Gorilla in the room. They can do whatever they want and we have to adjust or we can quit, give up, throw in the towel! Just for the record…I’m not a quitter! In the end, I believe Google is trying their best to make it better for everyone. Does that make it more difficult sometimes for the small guys? You bet. But if you follow the Google Webmaster Guidelines, if you generate compelling content that people interact with and share, you will win the war, if not the battle. I just posted on my blog about things I’ve discovered in Penguin 2.0 and oddly a lot of what you’re saying fits in with the conclusions I came to. Higher quality sites that are regularly publishing valuable content that their readership loves has not just traffic benefits, but SEO benefits as well. Anyways, if you want to read my post it’s on the top of godoveryou[dot]com <~ I'm purposefully not making it a link so it doesn't come across like I'm spamming your blog. Read the aricle…and commented! Nice BLOG!